Polo Tech | Birmingham Hardcourt Bike Polo, UK. Things are constantly changing in the ‘poloverse’. With each passing year more equipment is developed specifically for polo: Frames, mallet heads & shafts, balls, gloves and other such things. It’s crazy to think that only 3 years ago I started playing on a brakeless fixed gear bike with ‘ghetto’ mallets made from golf clubs shafts and pvc heads that shattered. This, added to the fact we were knocking around a tennis ball on any hard surface we could find. Is this the end of the DIY era? Straight out of Geneva, Switzerland, ‘Milk’ heads are one of the newest tech upgrades on the block. Machined from ‘Ultra-high-molecular-weight polyethylene’ featuring a slotted shaft that fits perfectly into a machined groove, these are extremely sturdy and light. 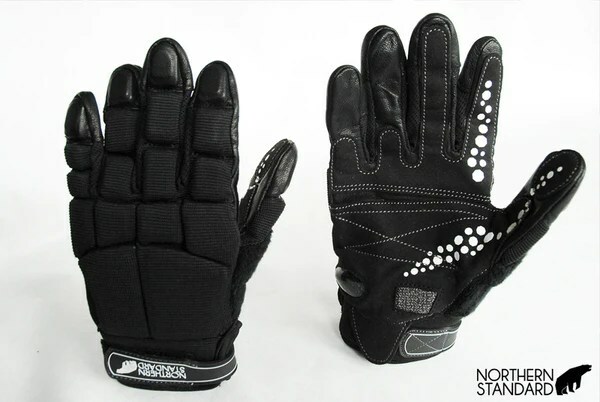 Next up we have the Northern Standard polo glove all the way from Vancouver, Canada. These are made from ballistic stretch nylon upper and full grain leather palm with silicone print grip and carbon fibre crash pads. 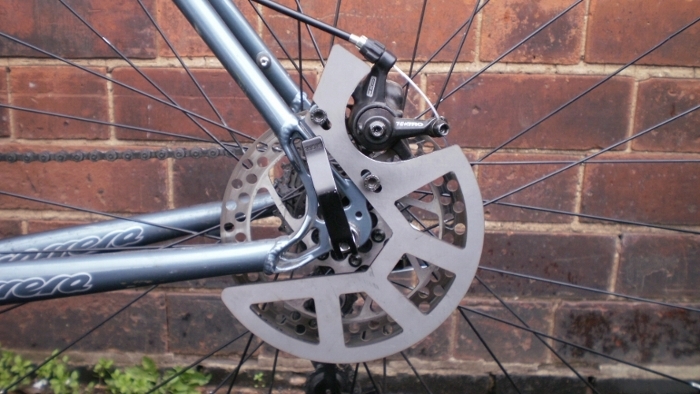 In Birmingham, UK, I’ve also been working on a prototype disc brake bash guard after hearing complaints from players who’d received one too many slaps shots that bent rotors. I’ve tried to make them strong yet light and as universal as possible. It’s still early days but I intend to keep developing including designing a front guard. Not only is it intriguing to chart the developments in equipment but technological advances help push the game forward too. This entry was posted in Uncategorized and tagged bash guard, bike, birmingham, disc brake, gloves, mallet, milk, northern standard, polo, rotor. Bookmark the permalink.